Welcome to the second installment of The Banker & The Broker, a recurring blog from Commercial Risk & Insurance Advisor, Terry Greene. After nearly 20 years working in finance, Terry brought his talents and immense understanding of business needs to Wedgwood Insurance in Septemeber of 2017. Since then he’s been helping local businesses of every size identify their risk and then designing an insurance and risk management solution. In this article, Terry breaks down why it is that people treat an Insurance Broker differently than an Accountant or a Lawyer. Over the past few weeks, I have been thinking about my time spent in commercial banking and the hundreds of transactions I facilitated to assist entrepreneurs. Whether it was a simple real estate transaction or a more complex ownership transfer there was generally one thing in common; multiple professionals were involved and as the Banker, you would often act as a quarterback to the transaction. Clients would use the most reputable appraisers, the most qualified solicitors and the most experienced auditors to protect their interests and all were regarded as vital members of the team and trusted advisors to the business. Very rarely did a client voice displeasure about the cost of these professional services or “go to market for a price quote”. These advisors were recognized as critical to the business success and entrepreneurs applauded the value provided by each. As I reflected on the above I began to question the true role of the insurance broker in relation to the success of entrepreneurs. How do you, as a business owner view what brokers do? I would suggest that for the most part insurance is regarded as an obligatory expense for a service you hope you never have to use. But again, if you are a business owner who has suffered a catastrophic loss you may have a different opinion on the value of insurance coverage and your broker. If business owners don’t go to market on a regular basis to get a quote for accounting services, legal advice or banking services then why do so many go to market on a regular basis and go through the quoting process to find the cheapest insurance coverage possible? If you look at all other professional services used by a business price is often a consideration but not a determining factor. Would you use a personal injury lawyer to complete a share purchase agreement because it was cheaper? Would you use a bookkeeper to facilitate a complex estate freeze for tax planning because it was cheaper? So why do many entrepreneurs treat insurance as a pure commodity with selection based solely on price? I think the answer is quite simple; brokers often times do not articulate the true value they can provide to clients. It is common practice for brokers, once they get that all important prospect meeting, to go in there with one ask “can I quote your business”. As such brokers have trained the market to look at insurance as a commodity as opposed to a value-added service provided by trusted advisors. As a result, the way insurance is viewed and purchased is broken, and I believe brokers are to blame. In 2017, Tom Hickey, President of Wedgwood Insurance penned an article on this topic. He explained the pitfalls of the traditional means of purchasing insurance which encompasses approaching multiple brokers to provide competitive quotes. In summary, although this approach may be viewed as the best option for the business owner from a premium perspective, in most cases it does not provide the best outcome. Due to the various market-specific nuances applicable to the insurance industry one of two things tend to occur, the client ends up with the right broker but the wrong insurer, or worse, the wrong broker but the right insurer. So, how do you ensure that as a business owner you do not fall into this trap? How do you get the right broker representing you in the right market? The answer is quite simple, transition your buying thought process from commodity purchase to trusted advisor selection. For the most part, all brokers represent the same insurance companies and it is essentially the speed to market that determines which broker will represent any one insurance company. It is essential to “Choose Your Insurance Broker Before You Choose Your Insurance Company”. The above brings me back to my initial post regarding risk management and the importance of business owners developing an effective and efficient risk management program. In my opinion, the first step to developing such a program is to choose the right broker, one whose philosophy is based on the risk management approach. Why do I feel this is so? In most instances, the development and ongoing management of a company’s risk management program become the responsibility of the owner who often lacks the expertise to develop and execute an effective program. 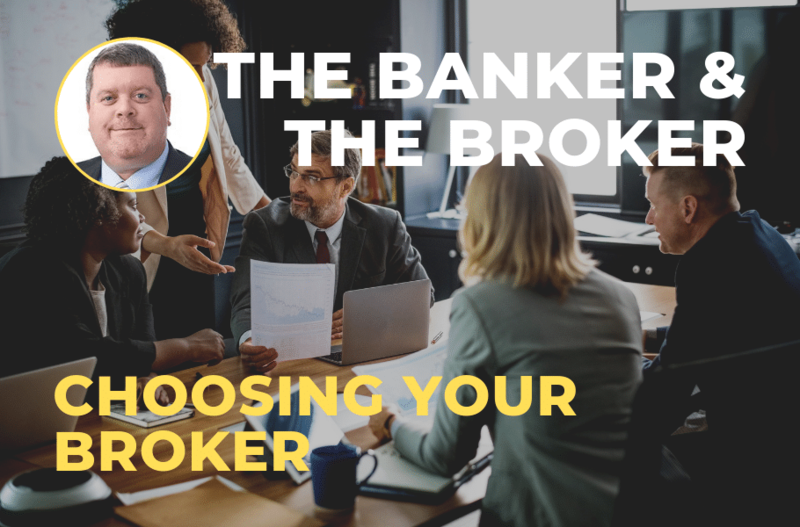 Given this, the right broker when selected can act as “Risk Manager” and be a valued professional advisor, critical to the success of the business, no different than an accountant or a solicitor. By choosing the insurance company prior to choosing the broker, it is less likely you will find a broker willing to take on the role of risk manager, but one who performs no more than an order taking function, one who simply fills out applications for insurance or replaces existing policies with cheaper ones. So, until the next time, please remember “Choose Your Insurance Broker Before You Choose Your Insurance Company”.